Watch Octavian’s soul glow here in latest visual. 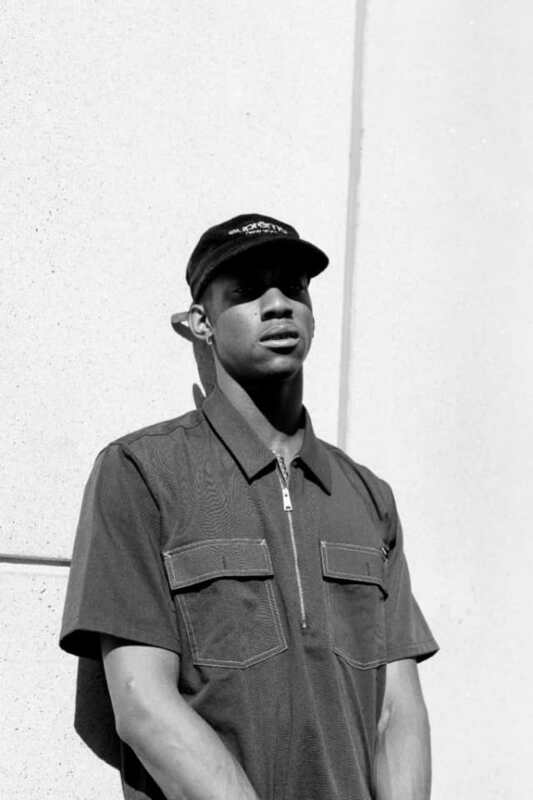 London based rapper, Octavian, is definitely one of the most underrated artists to emerge from the British underground. From collaborating with Normandy-born producer and multi-instrumentalist, Mura Masa, to even minimizing an endorsement from OVO rapper Drake, Octavian has proven time and time again that his lane is impenetrable and of his own, lacking the need to be backed or represented by anyone other than himself. After the release of his most recent studio album titled Spaceman which dropped in September of this year, Octavian returns to freshen our visual palettes with “Move Faster”, a track that is also seen on the album. A keen sense of detail, vivid colors, & natural elements such as fire, thunder, lightning, and rain are all characteristics of Octavian’s energy as a whole. Seeing that Octavian moves as a solid force, this aesthetic is reflected throughout the video as he plays with a plasma globe in the midst of high voltage moments flooded by hot pink and indigo hues. Maxing the speedometer in a 2016 Porsche Cayman GT4, Octavian travels at light speed throughout the night, even ending up in Chinatown in a coming scene, connecting and vibing with each element that he encounters. Lyrically, the introduction to this track stood out immensely, “See you have good days and bad days/But neither will last forever/Just before you give up/Just remind yourself what’s at the end of the struggle..” Octavian stands underneath the rain in certain scenes throughout the video, with strength showing how you have to know how to survive the dark moments in order to appreciate the light when it emerges. As we’ve seen many artists and creative directors use similar techniques of editing and shooting to create this trippy effect, the cinematography executed here really feels like a journey of its own, seeing that Octavian is an original visionary and storyteller of his own caliber, unable to be replicated.